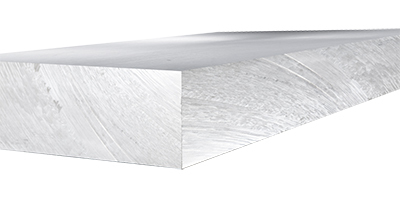 In this post, we provide preparation, equipment specifications and welding data for the following four aluminum products. Click on any product to jump to it on this page. When welding the Duramold-5 plate, the gas tungsten arc welding set to alternating current should be used. The balance should be at 65%, with the stabilizing current set to continuous. The plate should be degreased and dried with a solvent and clean rag and deoxidized with a stainless steel brush. No preheat is required, as the Duramold-2 can be degraded by higher temperatures. Clean the filler wire with a lint-free rag and solvent prior to use. The welding torch should be between 350 and 500 amps. The shielding gas should be pure helium, with a flow between 30-40 SCFH. Tungsten electrodes should have a zirconium element. 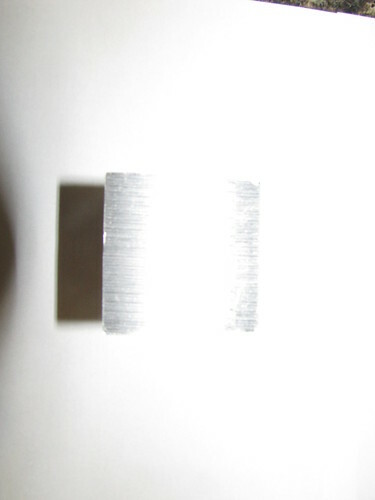 Pure tungsten electrodes can be used but are not recommended because of their different carrying capacity, and thoriated tungsten electrodes produce a variable welding arc. 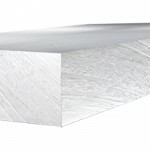 The filler wire should be alloy 5356, between 1/8” and 5/32” diameter. We recommend heating the filler wire to 110 Fahrenheit for 24 hours prior to use to remove welding defects due to steam. It should be cleaned prior to use and deoxidized with a wire brush. Brushes used for cleaning should never have been used on copper or steel alloy products. The gas cup should be 7/16” to 5/8” in diameter, and the leading angle on the torch between 5 degrees and 15 degrees. When using a 5/32” electrode, the maximum current should be 220 amps. For 3/16” electrodes, the current should be around 300 amps. 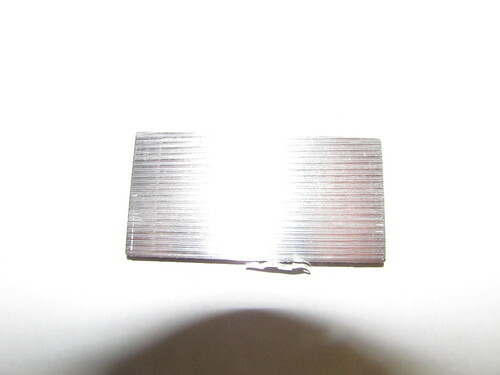 The welding current should be hot and the travel speed rapid to prevent the entire welding block from being heated. All welding should be performed in the downhand position and you should never attempt overhead welding with this material. To avoid filler wire oxidation, the wire must be maintained under the gas. Before making multiple passes, clean the area of the plate with a wire brush. 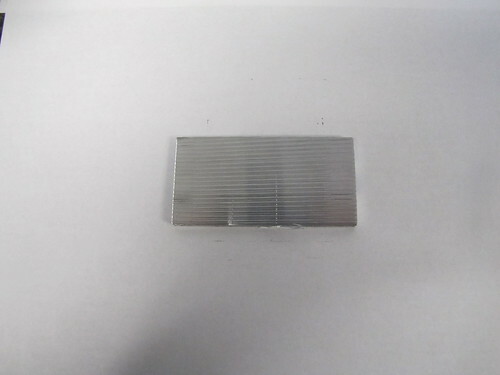 Leave the welded plate in an area with circulating air. Never quench the plate in water, because this can damage the material. When welding the Duramold-2 plate, the gas tungsten welder should be an alternating current. The balance should be at 65%, with the stabilizing current set to continuous. The plate should be degreased, dried, and deoxidized with a stainless steel brush. No preheat is required, as the Duramold-2 can be degraded by higher temperatures. Clean the filler wire with a lint-free rag and solvent prior to use. The shielding gas should be 75% helium – 25% argon, with a flow rate of 30-40 SCFH. The torch should be water-cooled, with a minimum current between 350 amps and 500. 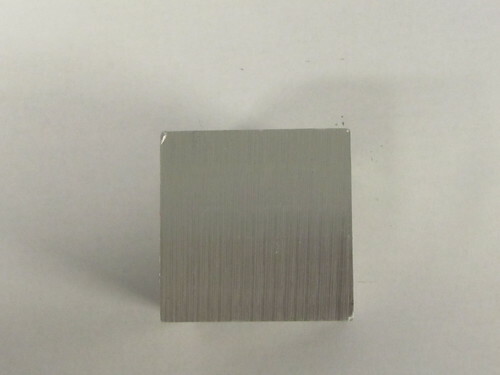 Tungsten electrodes should have a zirconium element. 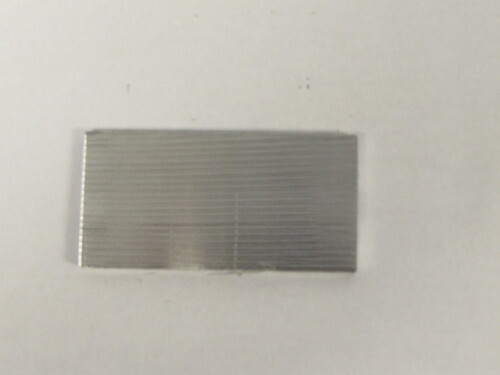 Pure tungsten electrodes can be used but are not recommended because of their different carrying capacity, and thoriated tungsten electrodes produce a variable welding arc. Filler wires should be alloy 2319, with the diameter between 1/8” and 5/32”. The gas cup should be 7/16” to 5/8” in diameter, and the leading angle on the torch between 5 degrees and 15 degrees. Any wire brushes that are used should not have been previously used on steel or copper alloys. Avoid overhead welding, and whenever possible work should be done in the downhand position. When using a 5/32” electrode, the current should be set to between 190 and 220 amps. For 3/16”, the current should be set between 250 and 300 amps. The welding current should be high and the travel speed rapid, which prevents the whole molding block from getting hotter. Before making successive passes, the previous pass should be cleaned with a wire brush. 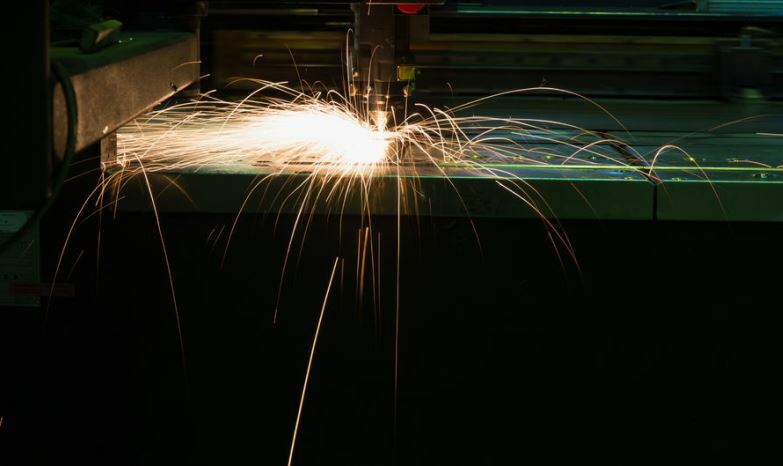 No treatment for the material is required after welding. Never quench the plate in water, because this can damage the material. The M-1 plate should be cleaned with an aluminum degreaser and a lint-free rag to remove any grease or grime. 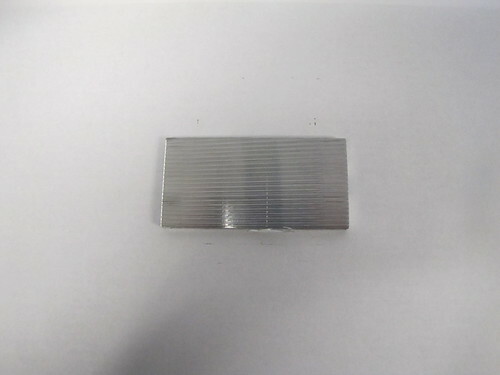 The aluminum plate should be deoxidized with a wire brush to remove oxide buildup. The filler wire should be cleaned and degreased prior to use. 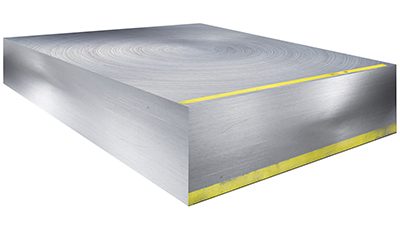 Preheating the mold plate is not required, though preheating the block to between 180 Fahrenheit and 200 Fahrenheit will allow for more consistent welding. The machine should be set to DC (straight polarity). The use of helium gas is recommended, with the pressure set to 15 PSI. A preflow of gas is important for minimizing porosity. There are two types of filler wires recommended for use in the M-1 plate. The 2319 filler wire is the best choice for maintaining consistent hardness and finishing characteristics. The 4043 filler wire can be used when hardness is not as important for the finished product. The 1/8” diameter wire is most common for the 4043. 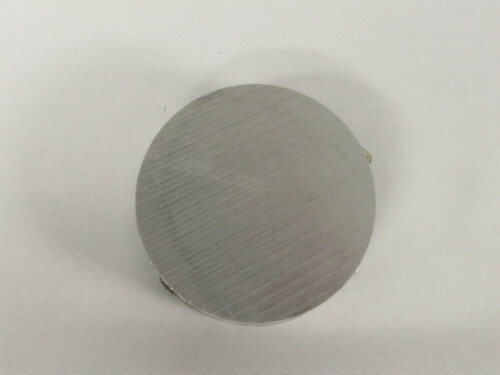 The electrode tip should be a 1/8” diameter 2% tungsten tip. For a welding torch, a 300 amp model is recommended. Make sure the welding area is free of drafts or any wind that could affect the flow of the shielding gas. Never quench the plate in water, because this can damage the material. Begin by degreasing the product with a solvent and lint-free rag. Do not use a chloride solvent under any circumstance. Deoxidize the Alumold product with a wire brush that has only been used on other aluminum products. Direct current gas tungsten welding is more difficult because of the very deep melting pool, though it is more effective on thick products. No preheat is required for direct current welding. Alternative current gas tungsten welding is a better choice for Alumold products. When using alternative current welding, be sure to preheat the material to about 210 Fahrenheit. For direct current welding, the current should be between 180 and 200 amps. The shielding gas should be pure helium with a flow of approximately 40 SCFH. The nozzle internal diameter should be 7/16” and the electrode diameter 1/8”. The filler wire diameter should be 1/8”. For the filler wire, the 5356 filler wire or the 5180/5280 are both good choices. The 4145 filler wire can also be used with sufficient polishing. For alternative current welding, the current should be between 200 and 250 amps. The shielding gas should be 70% argon – 30% helium with a flow of approximately 40 SCFH. The filler wire diameter should be 1/8”. The nozzle internal diameter should be 7/16” and the electrode diameter 1/8”. For active current welding, the 5356 filler wire or the 5180/5280 are both good choices. When welding this product, apply the maximum current and use rapid traveling speed to prevent the entire mold block from being heated. 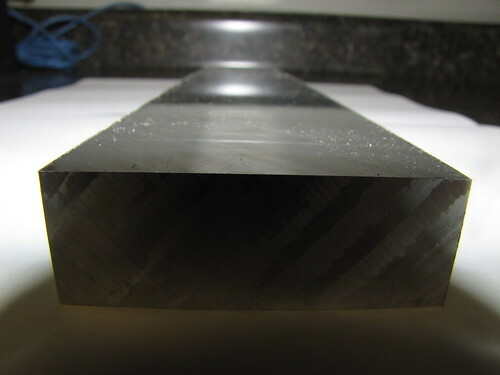 If there are any tungsten deposits in the material, clean and mill the area with the deposit. 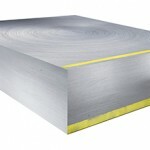 Do not use either welding process for the grained surface. Clinton is one of North American’s largest aluminum suppliers with several offices located throughout the midwest. To speak with one of our knowledgeable sales team, please call 800-826-3370.